Heroes, Heroines, and History: ANNE GREENE'S - WHERE DID ALL THE MEN GO? ANNE GREENE'S - WHERE DID ALL THE MEN GO? Where is everybody? The street, usually so busy, is almost empty. Only one other woman and a small boy and girl walk on the opposite sidewalk. The street, usually so jammed with cars, has almost no traffic. Of course part of the lack of vehicles is due to our 1941 gas rationing. Now we walk. Most houses on my side of the street have either flags with a blue or a gold star in the downstairs’ windows. Each blue star represents one of the sixteen million men who serve overseas or train to deploy overseas soon. Each gold star represents a man who died serving his country. One more man who will never return. No wonder there are no young men walking the streets of my city…as well as most cities and towns in the United States. Closer to downtown, women stride along. The sidewalks are no longer so full a person must weave in and out to get to work. There’s a feeling of loneliness and yet purposefulness cloaking the women and the one or two old men I pass. As I speak, an old man with fuzzy white hair, hobbling on a cane enters the door to the Farmers Café through the colored entrance. Some of the women, like me, wear blue trousers and blue shirts. It’s our new uniform. We work in the factories. Rosie The Riveter, Norman Rockwell paints us. Personally, I love leaving housework to the kids, and joining my women friends at the factory. We’re doing a bang-up job taking over men’s jobs that none of us thought we could do. Right now, I’m thinking of moving from Rosie the Riveter to Wendy the Wielder, since using the acetylene torch requires more skill and pays better. But I’m the first to admit, I miss the men. Tomorrow is Saturday, and I have no date. There are no young men left in our town. I haven’t had a date in months. I do write to several young men, just to keep their spirits up. But a gold star hangs in the window of my boyfriend’s mother’s home. Last year I received back all the v-mail I sent to him. The letters were wrinkled and stained as if Tom had read and reread them many times. The Army Air Force wrote that the blood-stained one was found in the pocket of his flight suit. The streets are empty of men, but almost every day hearses and long lines of cars head to the cemetery. Each time they do, my tears fall again. I am not alone. In less than four years the US Army Air Force will lose 14,903 pilots, aircrew and other personnel. Imagine how many women grieve. Then imagine how many of those men were so young they had not married or fathered children. So many parents will never become grandparents. So many girls may never find husbands. Then there are those missing men who did father children. Those children will grow up not knowing the love of their fathers. We gals understand that an average of 6,600 servicemen die each month. That is about 220 of our men who die each day. Will any of them return home? Will this World War II ever end. But we keep our chins up. We keep a stiff upper lip. We soldier on, doing our duty. Our fight takes place at the home front. And we are essential to the war effort. We take pride in assuming the man-sized jobs that keep our country rolling along. I work in an aircraft plant. By the end of the war, our head man says we will produce over 276,000 new airplanes. The enemy will discover that even without our prime-of-life men at home, American has know-how and can-do. We will not be defeated. 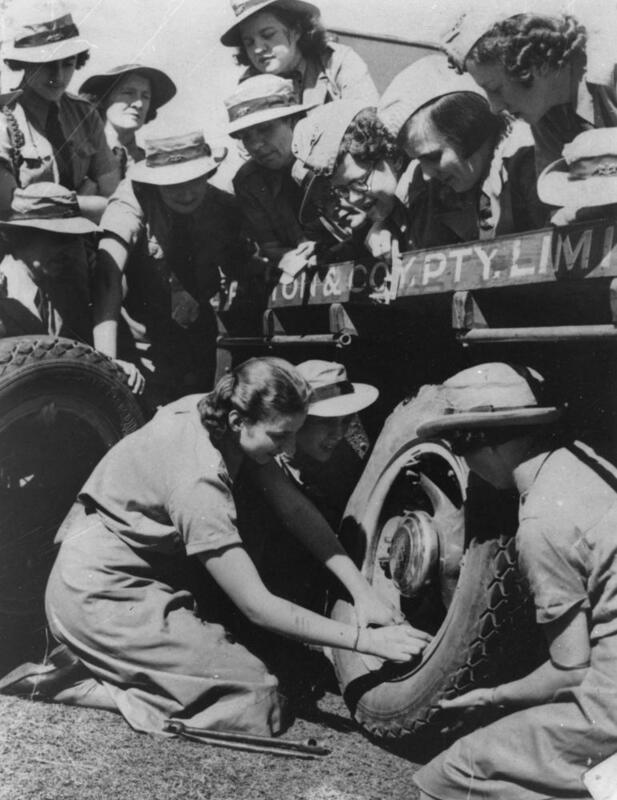 Approximately 400,000 women serve with the armed forces. To date, more than 460 have lost their lives. I am particularly proud of our service women, but being an only daughter and with three brothers serving overseas, the government says I must stay home. So we home front gals plant our victory gardens, work in our ammunition factories, make-do without frills and some necessities, and miss our men. We car-pool with six other ladies to drive to the factory. We come home and cook dinner, mend our children’s clothes, let out hems, glue on shoe soles, darn socks, and knit sweaters for our missing men. We hand-make Christmas gifts, we can vegetables, we stoke furnaces, and we shovel snow. When there is a job to be done, large or small, we don’t look around for help, we do the job. So when Carole Lombard died in a plane crash returning from a War Bond tour, we all miss her. We miss her faster-than-thought comic delivery, her platinum blonde hair and her delicate features. We miss her making us laugh, when there is so little to laugh about. But we continue to straighten our shoulders and pick up the slack. We spend a lot of time in prayer for our brothers, boy-friends, husbands and fathers. We take pride in our work. We grow and stretch and accomplish what we thought impossible. We tune in the radio each night at six o’clock to hear Edward R. Murrow and the war news. We pick up the newspaper just after it is thrown, and turn first to the casualty section and heave a sigh of relief when we don’t recognize any of the names on the unending list. We sing our patriotic songs. When formations of planes thunder above us in the sky, we feel protected. Thank God an ocean separates us from our enemies. We smile a little, and pray a lot for the brave men serving in the military that God will bring them safe home again. We’ve formed women’s professional baseball teams and dance bands. We've become chefs and town planners. We fill every job a man filed before he left for the duation. We serve at home while they serve abroad. We women have grown strong and independent. We’ve discovered we can do man-sized jobs. 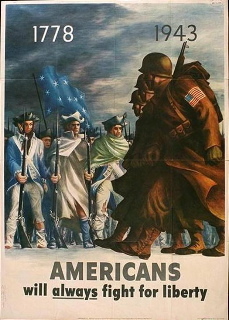 With all of American pulling together we will win this war. Yet we miss our men. 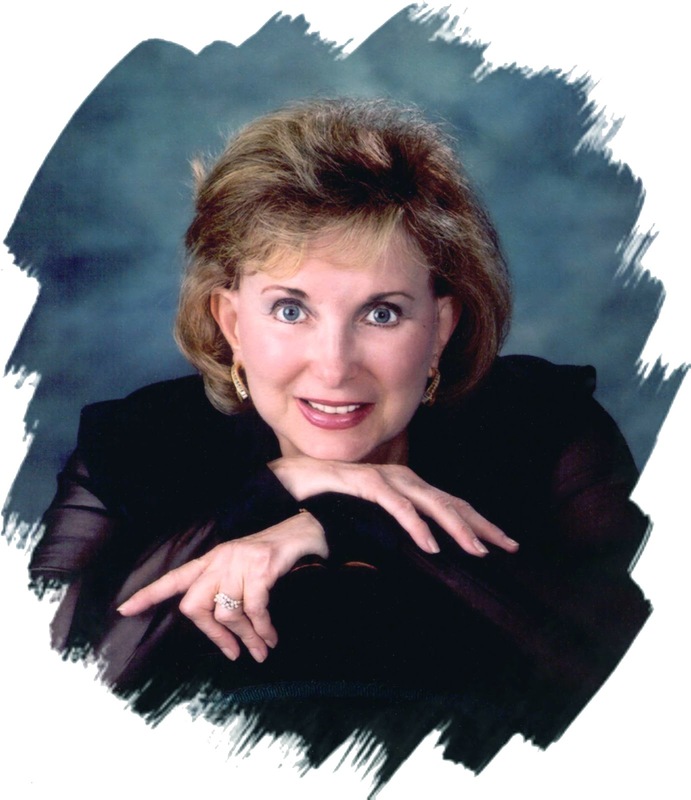 Look for Anne Greene's book about women test pilots and target towers called ANGEL WITH STEEL WINGS releasing in September 2014, published by B & H Publishing. Anne's wants to know how you would have liked to serve on the home front or with the women in military service. 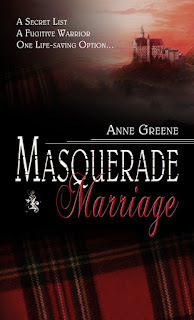 Leave a comment and win the first award-winning book in her exciting Scottish Marriage Trilogy - Masquerade Marriage. Would you have worked in the defense factories, in the WASPs, WAFS, or WAVES, become a nurse, or what would you have done for your country? Wow, Anne, I was riveted to this post! (pun intended) You truly made me experience what women went through during the war. I probably would have been good working in a factory. I'm pretty good at putting things together...wonderful post, Bravo! Thanks Debbie, sorry I couldn't get here earlier to talk with you. Life interferes with pleasure. You would probably have been building airplanes. Nice to see you here. Interesting post didn't know about the stars. Not sure what they did here in Aust but it could have been Aust you talked about. Oh I know where the USA forces were when they had time off In Australia. Mum even dated one or two (they were better paid and would give gifts of chocolate or stockings.) The dates were group dates. She worked in the city but then returned to her home town and worked in an electric fence factory and was the last female there after the war ended. My aunt was in the WAF (not sure the initials) Womens air force. Jenny, how interesting! Group dates! Love knowing this! I have a girl named Connie in that book, Angel With Steel Wings. Look for her! I think I would have gladly worked on the homefront as all the men and some women were fighting in the war and someone had to help out at home so why not step up to the plate and do our duty. Your book sounds like a good one to read. Thank you for the chance to win it. Yes, the war really gave women their first chance to work outside the home. But the cost in lost lives was so very great! I couldn't tear myself away from this post. Wonderful. My aunt used to dance with the soldiers at the USO when they came home. She wrote to quite a few of them. I'm sure she could tell stories! I can see myself working the factories like my grandmother did. She did war work at a carpet factory in Yonkers. Industry had to keep moving forward. It truly was the greatest generation. Thanks, Kathleen! I think it would have been fun to dance at the USO with those boys. But how sad, as you dance with each man to think, he may not come home. This might be his last dance. I like to serve, but not sure what I might have done... I don't think I could be a nurse but maybe some other hospital volunteer? I am reading Masquerade Marriage right now! I didn't realize it was the second in a series. Would love a copy of the first. The women were pretty amazed at how much they could do that they didn't think they could. You might have been surprised. 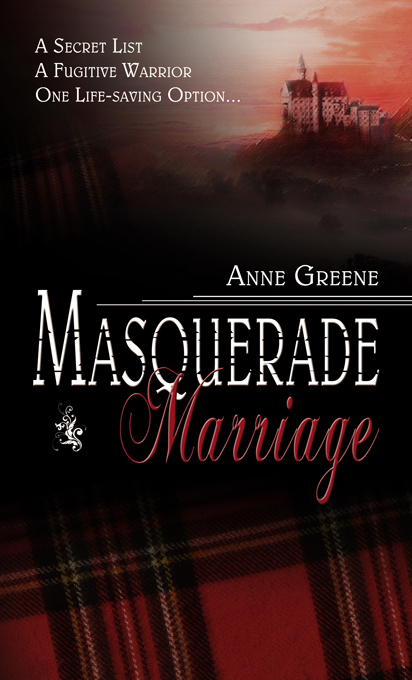 Masquerade Marriage IS the first book in the series. Marriage By Arrangment, which releases early in April is the second. I don't know what I would have done if I had been alive during World War II, but thankfully, I wasn't alive then! I am simply happy that today I am where God wants me to be, and doing what He intended for me to do. So, what are you doing, Bethany? Something fun and fullfilling I hope. I'm sure it is since you know it's what God wants you to be doing.I think from you email, you are a happy mom. Lol, Anne! You have me pegged! I am a pastor's wife and a mother, and that's exactly what I always wanted to be! Brought back a lot of memories, Anne. My dad was 4-F because of his knees and didn't serve in the armed forces. I said I wanted to grow up to be an Army Nurse, but my dad almost had a stroke. Nice girls didn't join the army. I remember our victory garden, collecting tin foil and rubber bands to give back for the war effort. 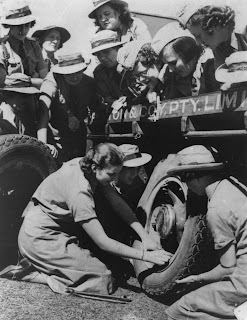 I remember gas rationing and my mother's two cousins coming home with war brides...one from Italy, one from England. Another cousin came home with part of a leg missing. Since Dad had a good job, Mother stayed home with my sister and me, but my aunt worked in factory. If I didn't walk, I rode the bus or trolley to get where I wanted to go. Martha, thanks for stopping by. You're so fortunate you have those memories! And for the record, those girls in the military really were nice girls. That was a nasty rumor that men who wanted their women to stay at home passed around. And it was a national rumor, so much so that many people believed it. Even in later years many girls missed a really great career by believing that rumor. Oh my...I had no idea women did all that back then. Seriously, this was such a great post! It makes me wonder what I would have done during that time...I'm such a wimp. I will definitely be looking out for the book! Thanks, Sherrinda! I think if you had known some of the women in the military and their enthusium for their jobs, you would have joined. And you would have had the most exciting time of your life! I would have joined - I have always admired the women who went to help the men oversees in any way they could...I wouldn't want to be on the front lines..but I'd have been a nurse or something...it's hard to stay at home and wait. Exactly! So many women discovered the same thing. Do her part and the war woudln't drag on so long. Thanks, Eliza! I had a full-scholarship to nurses' training and didn't go. Although those two women fit so nicely in that plane; it looks claustrophobic. 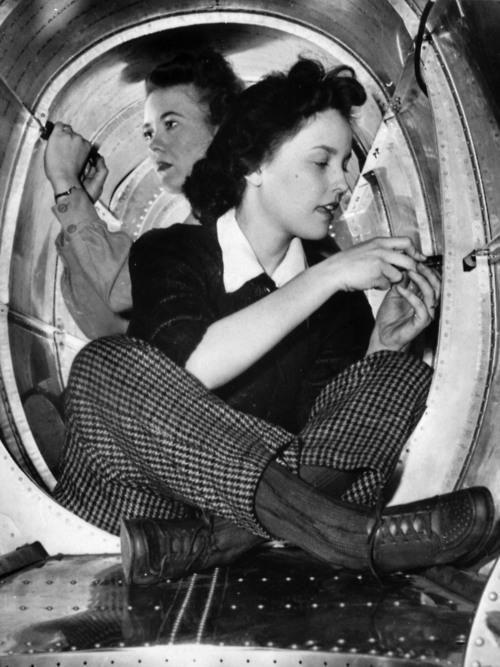 My father inspected the bolts on the back inside parts of airplanes at an aircraft company when I was a teen. Choices we make in life, were they our path or His for us? Thank you for this interesting post. Oh, Kathleen, I'm so sorry you didn't take advantage of your scholarship. My aunt also had a scholarship and became a nurse. She took care of babies during the war years. But, obviously God had a different, more wonderful plan for your life. Thanks for visiting. I am not familiar with Anne Greene or her books but I would love to win this one to give to my Church Library. My Dad, Uncles, and Aunts served in WWII. Janet, I hope you win a copy of Masquerade Marriage, I'd love for you to share it with your church library. I will be giving away more copies in the following months, so if you don't win this time, you'll have other opportunities. I hate for you not to be familiar with my name and my books. I really enjoyed your post! My father was in the Army Air Corps in WWII. Just a couple of months ago, I took his ID bracelet in to the jewelers and had a couple of links taken out, so I can wear it. If I had lived during that time, I would probably have joined the military. Kay, what a truly lovely thing to do. And, being a child of a military man, I think you would have had a great time as a WASP. I really enjoyed this history lesson! I would like to think I would have been right in there working in whatever industry I could. Thanks, Betz. I really like your name. I think you would have enjoyed working on the home front. I love your generous spirit. Such a humbling thought as to what they all did back then. We are blessed to be able to have the lives we do today! I would do what I could here at home - factories or all the work in the background (sewing, baking, etc). Thanks, Sue. Yes, the women that came before us certainly left us good models to follow. I think you would have been writing to a bunch of men, giving them encouragement and blessings. And havin your heart broken when one of them turned up missing. Yes, the writing to them definitely would have been on my list. I did that for my brother when he was in the military - he said it makes a difference. Oh goodness, the thought of what heartbreak they had just makes me want to weep. So many women losing husbands and boyfriends. Thanks for this post! I would probably be working in the factory or planting a victory garden. Yep, you probably would have been doing both as well as all the canning that came with harvest. It was a tough time, but a time those who went through it will always remember. And I'm so looking forward to your reading it--as well as all my books. WWII was a time of great hardship with the rationing, the new experiences that took people out of their comfort zones,and the awful missing of the men. Working at a military post would have been a happy/sad time. So many of the men never came back. Deborah, nice to visit with you here. I'm so glad you like my article! What an interesting book this will be! I was born in 1943 - had I been an adult then, I probably would have worked as a chef, or doing something connected with the dance bands, as I love music (including that of the dance bands) & enjoy cooking. Enjoy listening to the stories from my family re: World War II - my father was a farmer & didn't serve in active duty, but my brother was a pilot during the Vietnam war. Thanks for the opportunity to win a book! I, too, love the Big Band sounds. That dancing appeared to be a lot of fun. You would have been so popular, dancing and cooking for the fellas. Really a win-win time, and probably you wouldn't have known too often when the men didn't come home. Lots of fellas came and went to those dances. So nice to hear of all your memories! Perhaps you're right about this generation having a hard time doing without. But, I think with Americans loving their country as we do, tday's women could rally and learn to do whatever it takes to come up winners. And I think medics then and now have the hardest job and need to be the bravist of men in the military. You must be so proud of your brother. Thanks for visiting. Our WW11 Greatest Generation leave us so fast these days. The baby boomers carry the stories but few of our children are interested now but hopefully will listen before we forget them too! My mom had plenty of stories of going to her high school prom during the war. Tables full of girls! My dad served in the Pacific as a paratrooper and later as an Army MP. He was a bodyguard for Emperor Hirohito and I have photos of him. When I visited the WWll monument on the mall in Washington, I just cried at the sight of all the old veterans walking around. Thanks for a lovely post today Anne! Debra, how lovely to hear from you. I love the picture of your mom's high school prom. Yep, that was the group hardest hit with no men available. And yet, the girls went! Hooray for them! And it is sad that in a very few years, the surviving heroic soldiers of WWII will all be gone to their reward. I hope my book will inspire people to once again tell their children what happened when the world almost lost its freedom...so we won't let that happen again. I'm so pleased to hear about your mom's prom. What a lovely picture you painted. And the girls went anyway! Hooray for them! It is sad that in a few years so many of the young soldiers who fought for the world's freedom will pass to their rewards. So good to hear from you. I think I would have found work here at home to help the war effort. I wouldn't be a good nurse. My aunt was one of the young war widows. Her husband was killed about a month before their son was born. I'm thankful she was able to marry again later. What a blessing your aunt could remarry. So many, many babies never got to grow up with fathers. But, even in this our women were overcomers and did whatever it took to raise those children. Since I was brought up living in a military family and I've always loved to fly, I probably would have joined the WAFS, but then I loved the Sailors in their white hats and jumpers so I may have joined the WAVES. Either branch of the service would have been a challange and very exciting. I think you would have made a super pilot. Thanks for the lovely words, Amada! I know one of you ladies will win Masquerade Marriage. I plan to give away a book each month, so stay tuned in on th 14th and if you don't win this time, you will have more chances. Good to hear from you. My daughter would like to read this, thank you for the chance to win it for her. Thank you, Wendy, and I hope you will read Masquerade Marriage too. This is a great book for all ages. I think I would have been one of the women best suited for selling war bonds, and making bandages. Couldn't handle the blood and stress of being a nurse or in the service. Woo Woo! Those war bond ladies showed a lot of leg. Some of the first pin-ups. Although it was also grueling going from city to city, it had to be fun and satisfying. Those ladies also had booths with kisses for those men who signed up for war bonds.I think I would have liked selling war bonds too! I truly loved the rhythum of this posting, because I've been volunteering with Soldiers' Angels since 2011. It was a long ago dream of mine to send letters to deployed soldiers because I grew up whilst the Gulf War was startling to see on tv. I think if I had been around during the World War, I either would have served with the WAVES or the USO,... if the USO, in combination with a job on the homefront. For as much as I give now, I know I would have done just as much if not more then. I can attest that the care packages and letters that I send are happily received, because they sometimes wonder if we still understand that war is still happening, and if we, back home still care. Volunteering has humbled me in this new era of war, and has left me strengthened to know that even if we do a small bit towards helping, that small bit has a large ripple effect that is positive. Thank you for blessing us with such an 'in front' view of the 1940s, and showing just how many parellels there are to the 2000s. Including but not limited to the fact that petrol is once again a luxury, and many are walking as a method of transportation. Jorie, thank you for your service with Soldiers' Angels. And thank you for your kind and interesting post! How wonderful you are volunteering to help our sometmes forgotten soldiers who are still out there putting their lives on the line. I'm so glad you stopped in to visit, and I hope you will stop in to see me every 14th day of the month. It's lovely to talk with you. I think it would have been cool to be a part of the WASPs. I read Skies Over Sweetwater by Julia Moberg, which was all about the WASPs. Thanks for having the giveaway. Rose, being part of the WASPs was the highlight of many women's life. I read obituaries of women who served, and each has a large section dedicated to their time of service and what they did afterward.I'm sure you would have been a great pilot. Maybe you will still pursue that course. It's never too late. I love how you wrote it from the point of view of women in that era! Thank you, Lisa. It's so much fun for me to travel back to that time in my imagination. You will love my book, Angel With Steel Wings. Janet Estridge, you won a copy of Masquerade Marriage. Congratulations! I'll email you with the news, so you can send me your address! Everyone, including Janet, who commented is also entered in the Kindle and $25 gift card drawing. See you all next week on April 14th for another chance to win one of my books. I'll be discussing GOING COMMANDO! Please come visit with me.